Eliminate abrasive leaking from the machine slot seals and creating safety issues for the operators and people in the nearby area. Design and Install a mechanical closing plate for the monorail slot seal to provide a positive seal and eliminate SAFETY ISSUES relating to airborne stray abrasive leaking from the old seals. 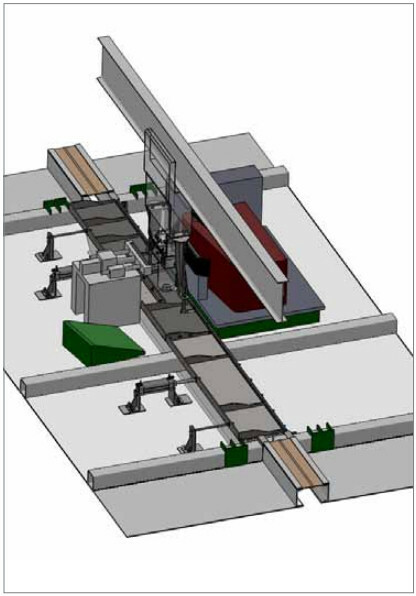 A custom-designed leak free mechanical sealing system that eliminates the maintenance of traditional monorail slot seals. SAFETY in the area is dramatically improved.